Durga Idol Immersion At Juhu Beach Mumbai on Tuesday. Express Photo By Pradip Das,11th Oct 2016,Mumbai. The Calcutta high court on Thursday put on hold a West Bengal government order that banned immersion of Durga idols during Muharram and also asked for adequate security arrangements to avoid a communal flare-up. Terming the government’s directive as arbitrary, a division bench of acting chief justice Rakesh Tiwari and justice Harish Tandon asked police to designate separate routes for Durga Puja and Muharram processions, allowing immersions on September 30 (Dashami) and on October 1 (Muharram). “The police have to take immediate steps to ensure law and order if there are indications of trouble,” the court’s interim order said, asking state’s top police officers to maintain law and order. Immersion of the idols marks the end of five-day Durga Puja celebrations, a Hindu festival that celebrates triumph of good over evil. 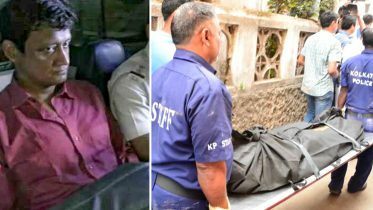 Chief minister Mamata Banerjee, who often accused by the BJP of appeasing the minority community, said if there was violence on October 1, the “conspirators” would be responsible. “Someone can even slit my throat, but I will not succumb to conspiracy,” Banerjee said while inaugurating a community Durga puja in south Kolkata, without referring to the high court order. She didn’t say who the conspirators but it seen as a veiled reference to the BJP, which said the court ordered had unmasked the state government’s communal politics. If banning immersion for a single day invited allegations of appeasement, she was ready to face such accusations all her life, the mercurial chief minister said. “The order has exposed those who do communal politics in the garb of secularism,” BJP general secretary Kailash Vijarvargiya, the party’s Bengal in-charge, said in New Delhi. A bit player in Bengal, the BJP is keen to expand base in the eastern state and often takes on the ruling Trinamool Congress over what it calls its communal agenda. The Bengal government had barred immersion of idols of the Hindu goddess after 10pm on September 30, the last day of the Durga Puja, and the next day on Muharram when Muslims take out processions to mourn Imam Hussain, a grandson of the Prophet Mohammad. The restrictions were necessary to maintain law and order, it had said. The court couldn’t permit arbitrary use of power by the state, justice Tiwari said when advocate general Kishore Dutta submitted the government was well within its powers to impose the restrictions. Muharram and Durga Puja dates have been clashing for some years now and in places like the state capital Kolkata, situation can get out of hand as both Hindu and Muslim communities jostle for space in the city’s congested lanes. The court’s interim directions came on three public interest litigations challenging the restrictions on the immersion of idols. The court will continue to hear the case after five weeks. West Bengal BJP chief Dilip Ghosh said the state government’s attempts “to divide the people on religious lines and reap electoral benefits out of it” had defeated. 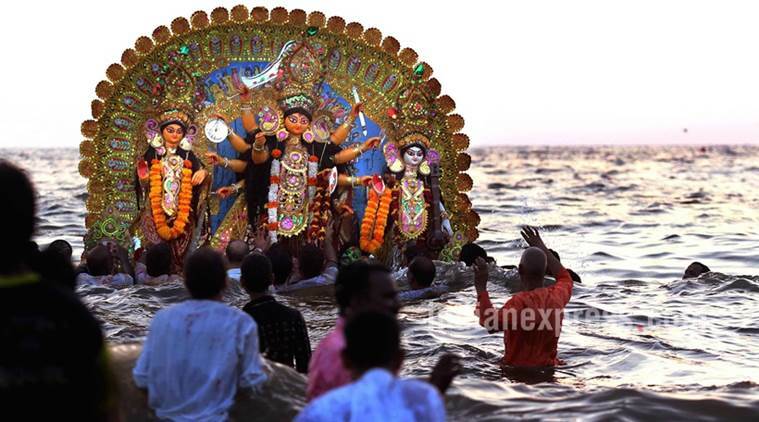 Be the first to comment on "Calcutta HC puts on hold restrictions on Durga idols immersion"